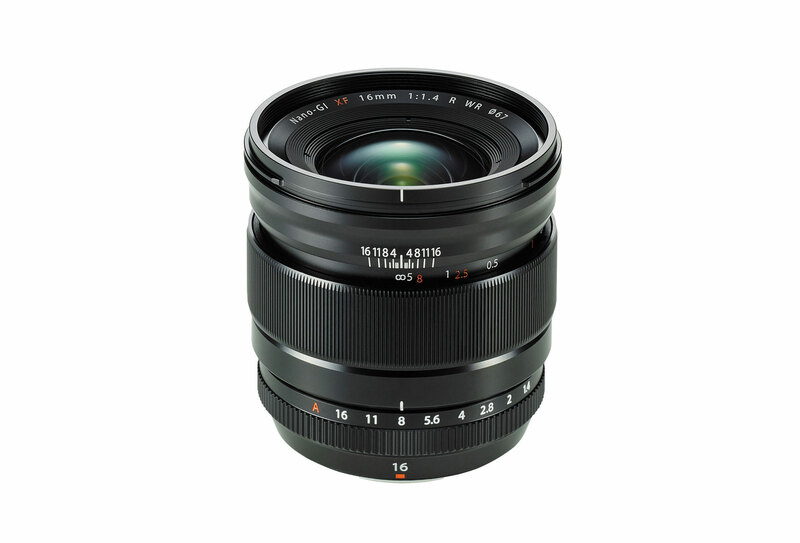 The Fujifilm XF 16mm f/1.4 R WR is a wide angle, prime lens designed for X-Mount, APS-C cameras. One of my favorite lenses for the FujiFilm XF system, the Fujinon XF 16mm f/1.4 R WR is a wide angle (24mm full frame equivalent) with a close up 15cm minimum focus distance that will give you some unique bokeh looks when you use this at close focus. This is an outstanding performer and a very unique looking lens in the Fujifilm lineup. The physical design of the XF 16mm f/1.4 is similar to the XF 14mm f/2.8 except that it is considerably larger to accommodate the larger aperture design. The autofocus motor is a DC coreless AF instead of the stepping motor in the XF 14mm. While still slightly dated for an autofocus system, it does a decent job. Both speed and noise are greatly reduced. As I’ve said before I’d love to see FujiFilm update these lenses with more modern focus systems. This lens was released in 2015 so I doubt we’ll see any design updates until further lenses are released and/or there’s enough of a demand. They work fine for most of the kinds of shots you’re going to use a wide angle for but anything fast moving, autofocus is going to be difficult depending on the context. Also like the XF 14mm f/2.8, the manual focus is engaged by pulling the lens collar toward the camera. This lens is also the strange hard-stop, focus by wire combo but I have gotten used to it. It gets the job done. To go back to manual focus, slide the collar back out. And much like the 14mm you’ll feel a grove where the collar goes into place. I’d almost rather this design just be focus-by-wire and not have the mechanical element involved. It feels like Fujinon are trying to have it both ways with this design. You do feel and hear a little focus stutter in manual and auto focus modes, but it is much quieter than the stepping motor implementation. And once again, in Fujinon XF fashion, the aperture ring can easily slip from A to f/16 quite easily. If you shoot FujiFilm cameras you know what I’m talking about and we get used to it. Could be a better design though. Optics are the key feature in this lens, it is both unique and versatile. Highly recommended.